Faculty co-leader and artist Elizabeth Barnes created this original digital collage after British artist Richard Hamilton’s iconic 1956 collage Just what is it that makes today's homes so different, so appealing? Visit London, England and study its dynamic urban visual environment in connection to the rise of consumerism and lifestyle branding and marketing from the 1950’s through to the present. Travel and explore while learning about the city through the lens of art history and contemporary studio practices. Topics and artists under examination will relate to the era of “Swinging London” fashion and pop art of the 1960-70s; the punk, new wave, and experimental art movements of the 1980-90s; together with the “Young British Artists” and street art movements of the 1990-2000s connected to mega-celebrity artist brands such as Damien Hirst and Banksy. Then travel to Venice, Italy to experience the Venice Biennale—the world’s most anticipated and attended contemporary art exhibition, held once every two years as a showcase of the best of global contemporary art. This is truly a trip of a lifetime—come join KPU’s Fine Arts Field School London/Venice Biennale and travel and learn alongside your fellow classmates and KPU faculty. Classes are instructed by KPU Faculty members. Students can enroll in up to 6 credits of courses (ARTH 3100 and FINA 3202) with at least 3 credits comprising ARTH 3100. Note that no studio art experience is needed to enrol in ARTH 3100. Pre-requisites as follows: ARTH 3100: Any 6 credits of first or second year art history courses or 18 credits of any level university courses, or permission of the Instructor; FINA 3202: Any 6 credits of first or second year studio/design courses, or permission of the Instructor. If you are unsure of your qualifications, please contact us with questions. A $500 non-refundable deposit is required at the time of application. This deposit will go towards your program fee. This fee includes accommodation, city transportation and transfers, museum/gallery/exhibition and Venice Biennale admissions, and 2 group meals. Flights to London and transportation to Venice, personal expenses, most meals and tuition are not included in the fee. Several field school scholarships are available for applicants. Applications from college and university students outside of KPU are encouraged and will be accepted and considered based on the completion of equivalent course pre-requisites. Some offered courses are transferable between institutions. See the BC Transfer Guide for more details. 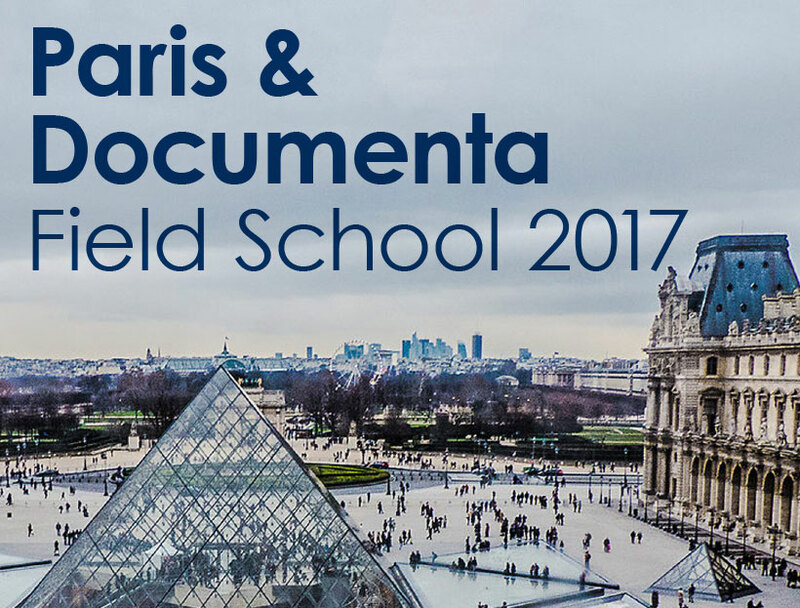 Welcome to the blog posts for Kwantlen Polytechnic University's Fine Arts Department Paris/Documenta 2017 Field School. Click on the thumbnails below and visit the collected blog posts introducing each of the participants of the group as they embarked on their art adventure and described their journey. Each post first appeared on my main blog page before being posted here as an image with a link to follow back to the blog. The posts were then circulated via Twitter, Instagram, and KPU's Fine Arts Department Facebook page with the hashtag #kpuparis. You can also click on the first thumbnail to follow the #kpuparis hashtag on Instagram for individual photos being uploaded by the field school participants as they return home. Taken during the Paris/Documenta 2012 Field School, photo courtesy of Kyubo Yun. A majestic view of Paris from atop the Eiffel Tower-- notice the Haussmannized streets and urban planning. 2012 Field School participant Shelly Leroux captures an image of a contemporary art work at the Palais de Tokyo in Paris. Photo courtesy of Kyubo Yun-- spot him in the cubed mirror! 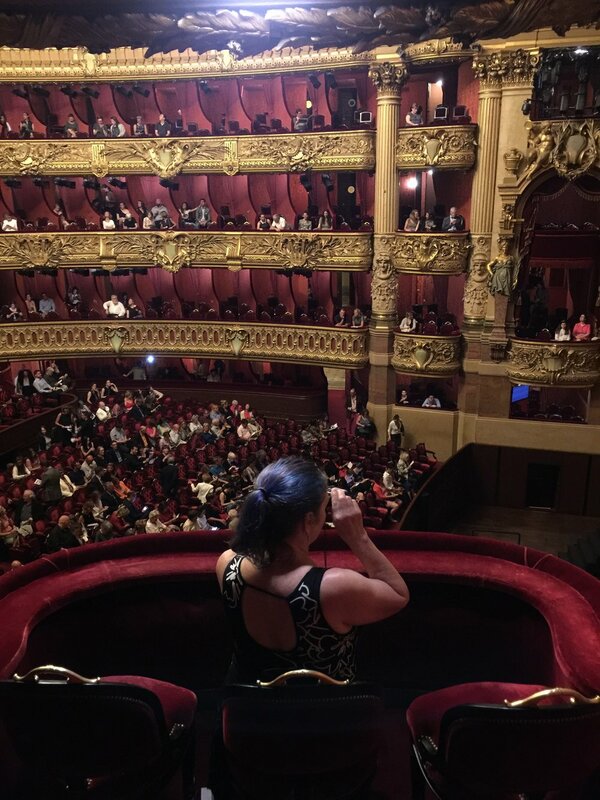 Orsay, Louvre, Pompidou, L’Orangerie, Palais de Tokyo, and cinema/photography museums, along with visits to Versailles, Monet’s Garden at Giverny, Eiffel Tower, Arc de Triomphe, Opera House, and several Parisian art districts. Comprehensive tour of Documenta 14 with all access multiple-day pass and tour of Kassel’s cultural attractions. Classes are instructed by KPU Faculty members. Students can opt to enroll in one or more courses. No studio art experience is needed to enroll in ARTS 1100 or ARTH 3100. Current pre-requisites for ARTH 1100: none. Pre-requisites for ARTH 3100: Any 6 credits of first or second year art history or visual culture courses OR 18 credits of any level university courses OR permission of the Instructor. Pre-requisites for FINA 3202: Any 6 credits of first or second year studio/design/fashion courses OR permission of the Instructor. If you are unsure of your qualifications, please contact us with questions. A $500 non-refundable deposit is required at the time of application. This deposit will go towards your program fee. This fee includes accommodation, city transportation and airport/train transfer, museum/gallery/exhibition and Documenta admissions, and 3 group meals. Flight, personal expenses, most meals and tuition are not included in the fee. Several field school scholarships are also awarded by the KPU Fine Arts Department and other sponsors for qualifying students. Welcome to the blog and information page for Kwantlen Polytechnic University's Fine Arts Department NYC/Venice Biennale 2015 Field School. 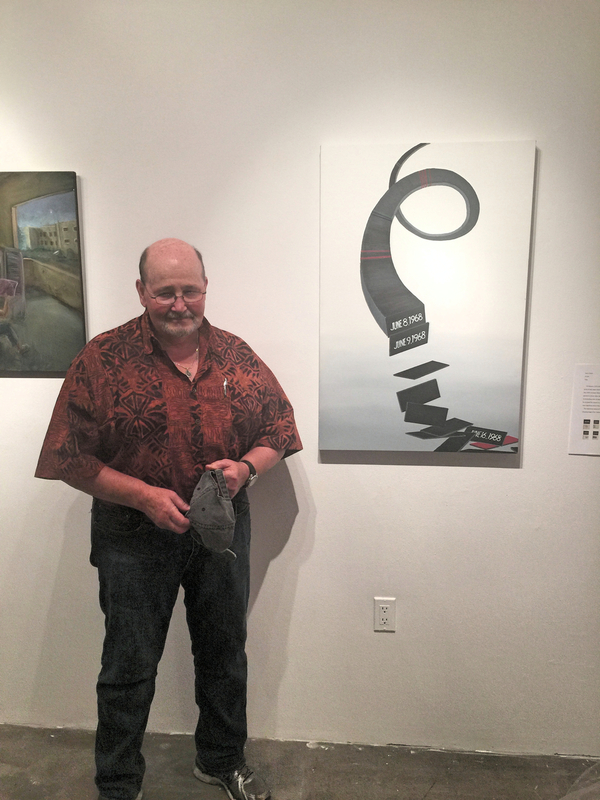 From May 28th to June 28th, you can visit this page for the collected blog posts introducing each of the participants of the group as they collectively embark on their art adventure and describe their journey. Each post will first appear on my main blog page before being posted here as an image with a link to follow back to the blog. The posts will then circulated via Twitter and KPU's Fine Arts Department Facebook page with the hashtag #kpunycvenice. You can also follow the #kpunycvenice hashtag on Instagram for individual photos and tweets posted by the field school participants. You can also explore and swipe through a gallery of pictures taken from a selection of the pre-departure studio projects completed by students at KPU for their group exhibition "Talking Back." These pictures are arranged alongside images of the assigned artist and art work from the collection at the Museum of Modern Art in New York that each student has been researching and in dialogue with. Over the next few weeks, each of the dynamic participants of the field school will be revealed to you as they reflect on their experiences and engagement with the art and urban culture that they encounter both in New York and Venice. We invite you to join us and share in the journey! More information and details about the Summer 2012 Field School to Paris, France and Kassel, Germany, along with bios of participants can be found HERE or by clicking on the image below. The original blog post describing the trip can be found HERE. You can also explore the assigned artworks from the collection of the Orsay Museum in Paris that each student was assigned by visiting the course's Pinterest board.